Some of you may have seen my Small Town Spotlight feature regarding the ever so lively Billy Shaw Jr. Shaw is back with his new single titled “Cowboy At Heart.” It’s a classic country track, one with a nicely built in six string joined together with the flawless fiddle notes. Shaw, who grew up in Arizona, admits that while he wasn’t cut out to be an actual cowboy, his heart lingers true to the meaning. Shaw is a modern day Clark Kent. The thick black rimmed glasses scream “geek” but the black pearl snap and the boots scream “country.” The track is traditional at heart, but Shaw brings a freshness to it that leaves us intrigued. 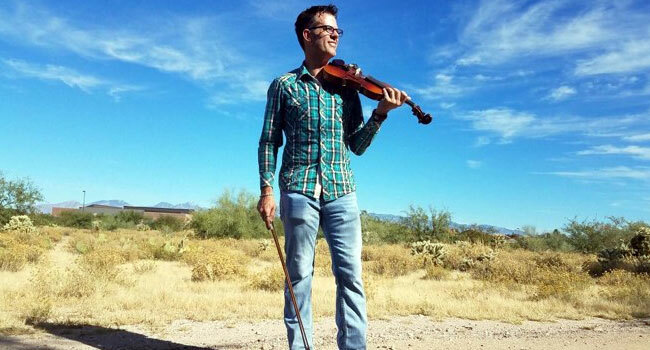 A crafted musician, Shaw has a plentiful list of instruments he can play. On “Cowboy At Heart,” his fiddle skills are exceptional. Shaw is not only talented, but massively likable. His old soul demeanor with his modern day style makes him not only diverse but interesting. In a world where different is good, Shaw takes the cake. “Cowboy At Heart” describes Shaw perfectly. A well written song that showcases passion and skill, it’s a damn good representation of Shaw’s artistry. Southern WV born and bred who is a lover of all things country. She’s a mother of two and professional hell raiser. Brittany will pop in from time to time as a Guest Columnist who will present her unfiltered thoughts on the most recent country concerts and maybe an exclusive interview or two.